Jamie Shupak is the Emmy-nominated traffic reporter for NY1, the Big Apple cable network that’s the end-all and be-all on all things Gotham for New Yorkers. She’s also a beautiful, single woman navigating New York’s treacherous dating scene after the painful breakup of a 10-year relationship. In her weekly column she’ll share her war stories and offer her advice and admonitions. I tried to open my eyes but they were sealed shut with last night’s dried mascara. As I rolled onto my back I delicately pulled my hoop earring from the side of my face where it had left an imprint. I touched my hand to the scarf wrapped three times around my throat. Like my shirt, bra, jeans, and boots, I hadn’t taken it off. I’d only passed out. I realized I had no clue how or when I got home, and a sinking feeling of hungover panic came over me. Memories of the previous evening were half vivid, half hazy. I reached for my phone and scrolled through a series of text messages, which only confused matters more. I dialed my friend who was with me all night hoping—praying—that she would be able to fill me in on the missing details. A guy I was dating invited me to come with him and his boys to a very popular (read: stuffed to at least three times capacity) sports bar to watch the Jets playoff game. So that night at the sports bar I drank entirely too much for a girl my size­—okay, any size—and it turns out I told his best friend what I had jokingly told my sister-in-law a few weeks earlier—that I wanted to marry him. When my friend told me this I think my heart actually stopped beating for a second. I’m not sure if it was the mortification or the alcohol, but I was sweating uncontrollably. Not only was this the worst possible thing a girl could say to a guy (and his friends! ), but it was also the antithesis of my normal behavior. How was I going to remedy this situation? Even worse, could I? My relationship with this guy stood no chance after that night. I drank too much, I said too much, and I ruined not only the date, but also any possibility of a future together. That didn’t stop me from trying though. We spoke a few times after that, and though I never brought up the marriage comment—partly out of embarrassment, partly because I thought if I ignored it, he might forget—things between us were never the same. There is no text, email, food, alcohol or floral delivery to a guy that will convince him that you’re not crazy. He and I never hung out again. But what if the crime isn’t as felonious as the one I had committed? Certainly there is a case to be made for bad date redemption. But how do you bounce back from that awkward evening? What needs to be done? And how do you know you’re not wasting your time on a relationship that can’t be salvaged? A few weeks ago a good guy friend of mine called me first thing on a Sunday morning, saying that he needed my help. He was certain things were ruined with the girl he liked after their mishap-laden date the night before. They had been keeping the fact that they were dating somewhat of a secret from a former close friend of hers, and he was confident that said friend wouldn’t be at the rooftop party they were attending. He assured her of it, and he was wrong. If guilt was measured in stories of a building, then that night it equaled the location of the event. If that wasn’t embarrassing enough, part of his bed fell apart when he took her back to his place at the end of the night. Clumsy and horrifying do not for a good date make. He asked me if I thought flowers were appropriate to make up for what had transpired. I told him you could never go wrong with an apology and flowers. You don’t have to grovel at her feet, especially in a situation like this, but try a simple note or phone call saying something like: I’m sorry for last night. I never want you to be uncomfortable. I hope you will please allow me to make it up to you. Women are big on apologies; saying sorry shows that you’re a man, that you understand you did something wrong, things didn’t go as planned, and that you want her to always feel happy and safe in your presence. As long as you didn’t hurt her feelings too badly, or offend her in some grandiose way, chances are you can redeem yourself from anything inappropriate or cringe-worthy that transpired and get back on the road to romantic bliss. My friend wasn’t able to get same-day delivery for the flowers, so he brought them to her apartment himself. She forgave him—for both of his amateur moves that night—and they are still dating today. I’d say that is bad date redemption indeed. 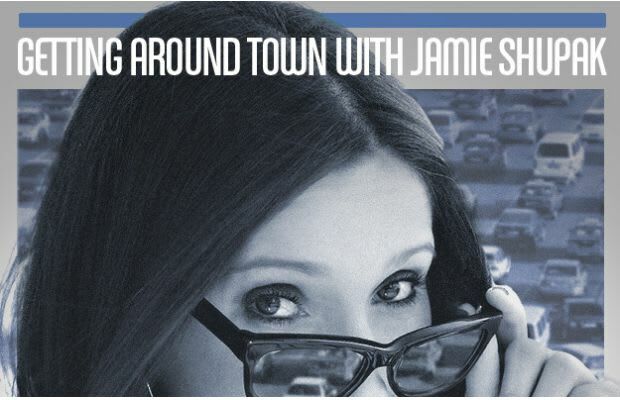 Next Week: Part I of Jamie looking back on her first year as an adult single woman.